There was a familiar face at practice on Thursday night. Former Bengal Leon Moise showed up unannounced at practice and immediately made the coaches and returning players grin from ear-to-ear. However, Moise did not shake many people’s hands. 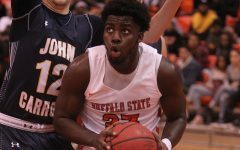 Moise was a big part of the 2016-17 campaign for the Buffalo State Men’s basketball team that went 17-9 and had their hearts broken by No. 1 Oswego in the semifinals of the SUNYAC Tournament, falling to the Lakers, 84-83 in overtime. But Moise along with Nico McLean, Jordan Glover, Jordan Chateau and Lovell Smith are not coming back for the Bengals this season. 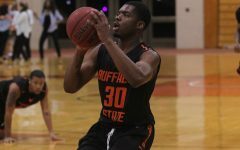 Instead, Buffalo State must rely on a new cast of charters as they return only five players from the last season’s team. One of those new players is freshman Sheldon Adams. The 6’1” Rochester native has good footwork and the ability to shoot the three-ball. 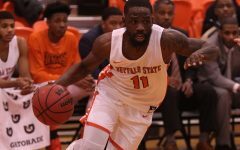 Adams was knocking down threes from all over the court during practice and can even knock it down from as much as six feet from behind the arc. Buffalo State will also be counting was junior Tyrone Adeyeye. The swingman showed signs of his ability to get into the paint and rebound the ball. Adeyeye can play strong defense as well. 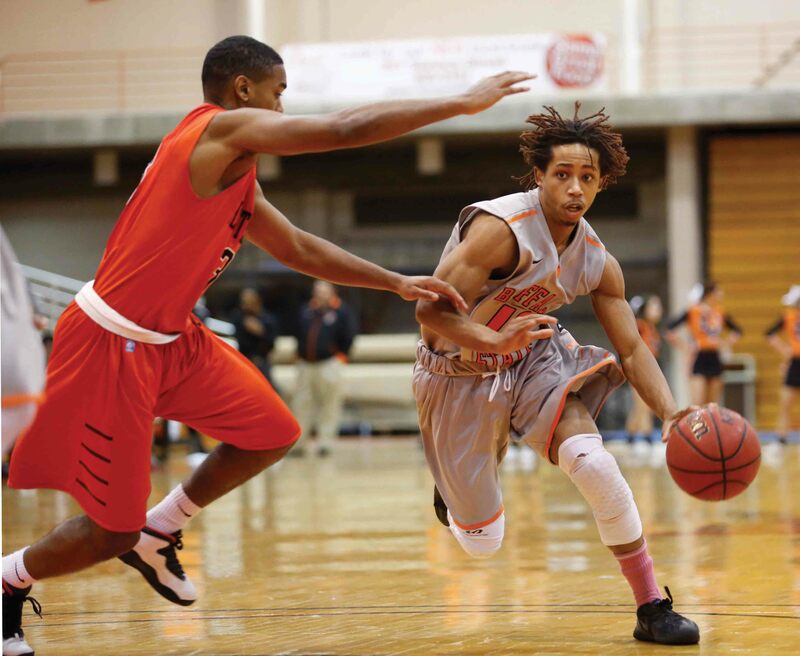 Senior Malik Turner is expected to be an unselfish playmaker for Buff State this year. Turner showed his playmaker tools while bringing the ball to the frontcourt, calling a play and running said play. Turner does not take any bad, contested shots and will pass for a better shot on a consistent basis. Adams, Adeyeye, and Turner are all new not only to the starting lineup but to the Bengals’ roster this year. 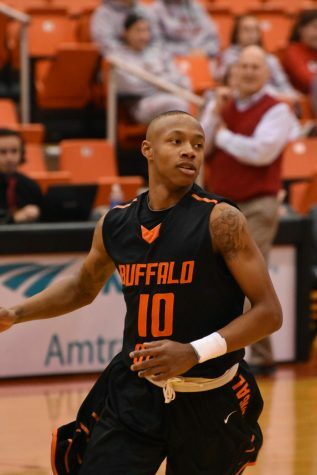 Ansari will look to Henry to be the leader of this young Buffalo State team this season. “I’m happy for Mike. He’s been here for three and a half years and he’s the only player returning who’s been here more than one year. 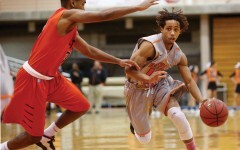 He’s in a position that we’ve been trying to get him in for some time,” Ansari said. The Syracuse-native averaged about 15 points per game along with 8 rebounds and shooting about 57% from the field in 2017. 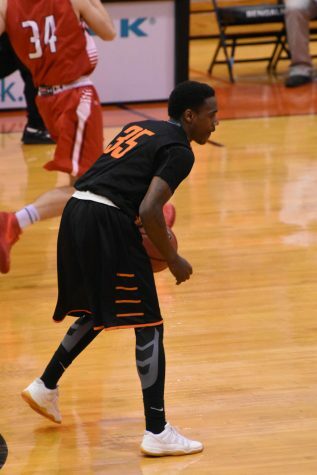 He led the Bengals last season in rebounds per game and field goal percentage. The forward spent a lot of time in the weight room and the film room this summer. 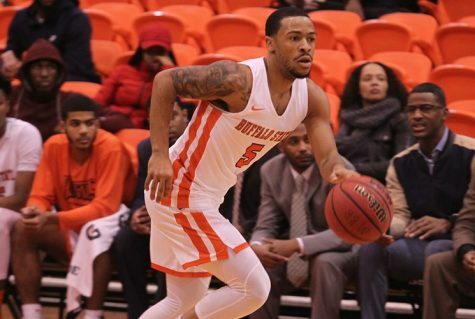 “I studied a lot of basketball over the summer as in-game situations, being poised and slowing down and making the smarter move on a fast break to decrease my turnover ratio,” Henry said. According to McQueen, Henry is someone the his teammates can count on. “(Henry) has been a good leader. He makes sure everybody gets to practice on time and he’s always communication during practice,” said McQueen. Henry is excited to step into his into his new this season. Senior J.O. 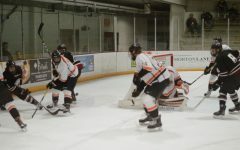 Spence, junior Gabriel McQueen and sophomores Zak Ciezki and Steven Calvo are also returning this year. Freshman Kareem Holmes, J.C. Christopher, Daniel Reid, Bryan Harrell, Joe Zemon, Zion Guzman Milton and sophomore Sir. Quintin Campbell round the opening day roster. Buffalo State went 1-1 in the Coles Classic this weekend. They will kick off SUNYAC play on December 1 in Potsdam to take on the Bears. 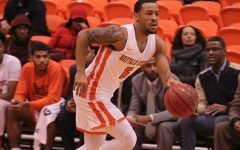 The Bengals will take a trip to Hampden-Sydney, VA at the end of the semester to take part in the Hampden-Sydney Holiday Classic.